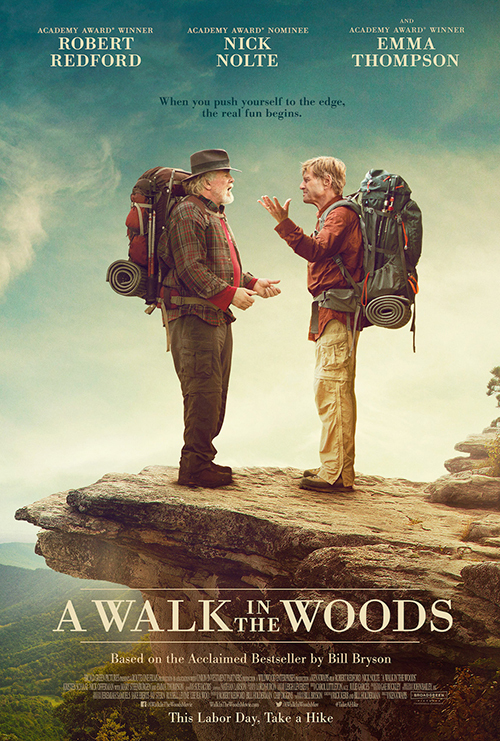 The poster for the movie-adaptation of Bill Bryson’s A Walk in the Woods makes me smile. I am one that really enjoyed the book. Enough so that I can’t imagine how the movie can live up to it. You can watch the preview trailer below and make up your own mind. I don’t remember the book being so “cute”? Does that make sense? I am not a big re-reader, but this may call for it. The encounter with the bear was one of my favorite bits in the book. Not sure why I found it so funny. Bryson just has a why of countering serious situations with this dry, almost stuffy, British-like sense of humor. I am still up in the air if Robert Redford and Nick Nolte are the right guys for the parts. Though since Redford is producing the movie, I guess he gets to do whatever he likes. The A Walk in the Woods movie hits the big screen this fall on Labor Day weekend. Fingers crossed!